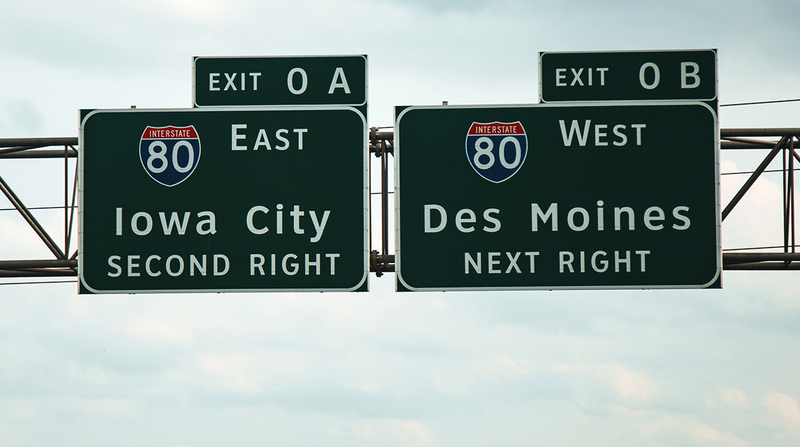 The commission approved the 2019-23 Iowa Transportation Improvement Program on June 12. A seven-member group, the commission develops transportation policy and identifies infrastructure needs throughout the state. Iowa DOT officials presented a draft of the program to the commission May 8. “The program represents a major commitment to the Iowa DOT’s mission of safe mobility — of getting you there safely, efficiently and conveniently,” Iowa DOT states in a news release issued June 12. Roads and bridges receive significant attention in Iowa’s five-year plan. Over the course of fiscal 2019-23, the plan forecasts $3.4 billion will be available for highway right-of-way and construction investments. According to the release, 55% of this sum will be invested in rural areas. Some $1.8 billion is dedicated to modernizing Iowa’s highway system. Some 45% of the projects outlined in the state’s highway program will be repavement efforts, and 31% will relate to structure reinforcement. Portions of interstates 29, 80 and 380 will be treated in the highway program. The program also includes $1 billion for investments in state-owned bridges. Iowa contains the most structurally deficient bridges in the country, according to the American Road and Transportation Builders Association. ARTBA published an analysis Jan. 29 revealing deficiencies in a significant portion of bridges across the country. In Iowa, some 5,067, or 20.9%, of the 24,215 bridges are classified as structurally deficient, ARTBA found. One major bridge that Iowa DOT will continue work on is the I-74 bridge, a tandem project of the Iowa and Illinois departments of transportation which aims to increase capacity and facilitate mobility by widening the structure from two lanes to four. The I-74 bridge, which traverses the Mississippi River, consists of two spans that run from Moline, Ill., to Davenport, Iowa. The two cities help make up the Quad Cities area, the region where eastern Iowa and northwestern Illinois meet. The I-74 bridge handles about 74,000 vehicles a day. According to the agency’s release, certain projects outlined in the program are made possible because of a fuel tax increase in 2015. This legislation required that 100% of additional revenue allocated to Iowa DOT because of the tax hike be directed to road and bridge projects that are critical to the state’s infrastructure.